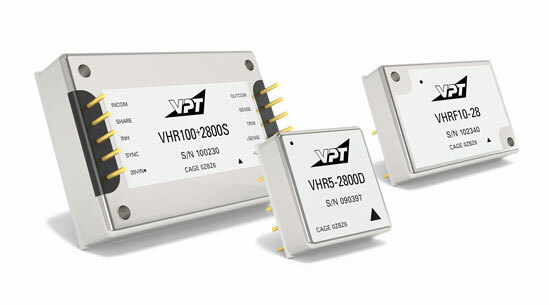 Industrial Grade DC-DC Converters | VPT, Inc.
VPT’s VHR series of industrial grade products provide cost-effective, high reliability solutions for use in defense, avionics and manufacturing industries. The VHR industrial grade products leverage decades of VPT’s proven heritage in military and aerospace electronics. VHR series DC-DC converters and EMI filters are ideal for non flight-critical solutions in military, avionics, unmanned systems as well as manufacturing equipment and controls. VHR converters feature a wide input voltage range which accommodate nominal 28V inputs, low input and output ripple and fixed operating frequency. The VHR companion EMI filters simplify system design while ensuring operating success in rugged and high volume environments.